holidays are never long enough. 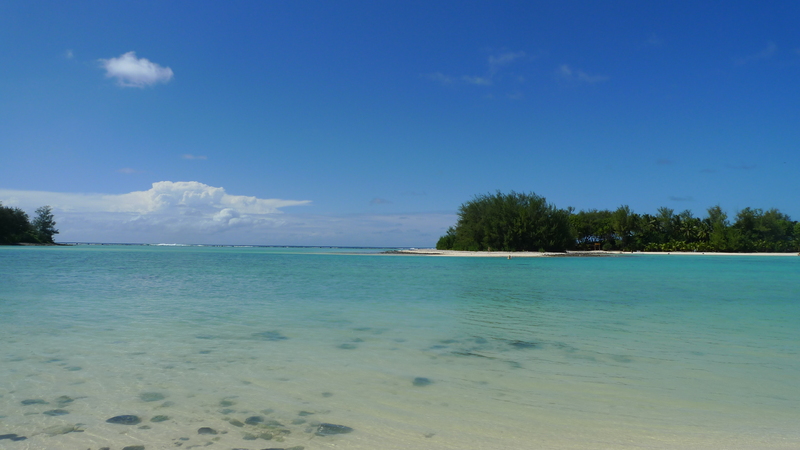 spending four days at Rarotonga with my lovely family is a great way to spend easter. although the weather was not the best but it was still an enjoyable trip none-the-less. i’ve yet to sort out all my photos but i have to tell you all that the beaches and the coral reefs surrounding the island is amazing. basically, the entire beach that surrounds the island is picture perfect. crystal clear water, amazing sea life and white sandy beaches. you only need to walk 2-3 metres from the shore to find a beautiful place for snorkelling. the lifestyle is laid back and the locals are friendly! however, the food is not the greatest as i did not get my crab craving satisfied. yet, i will still rate this a better holiday compared to the trip to fiji last year. anyways, here is a teaser photo.